Newly-crowned DTM champion Martin Tomczyk will make his Race Of Champions debut at this year’s event in Düsseldorf. Tomczyk dominated the German touring car series in 2011, sealing the title ahead of this weekend’s finale at Hockenheim. The German driver has finished in the points in each of the nine races so far, taking three wins and four other podiums – a feat all the more impressive as he is the first driver to take the championship in year-old machinery. Tomczyk becomes the third touring car driver to be confirmed so far for ROC 2011, alongside fellow DTM racer and ROC specialist Mattias Ekström and triple WTCC champion Andy Priaulx. Due to a clash of commitments, Tomczyk will not take part in the ROC Nations Cup on December 3, instead appearing only at the individual Race Of Champions on December 4. “Only the world’s best racing drivers are invited to contest the Race Of Champions,” said Tomczyk. 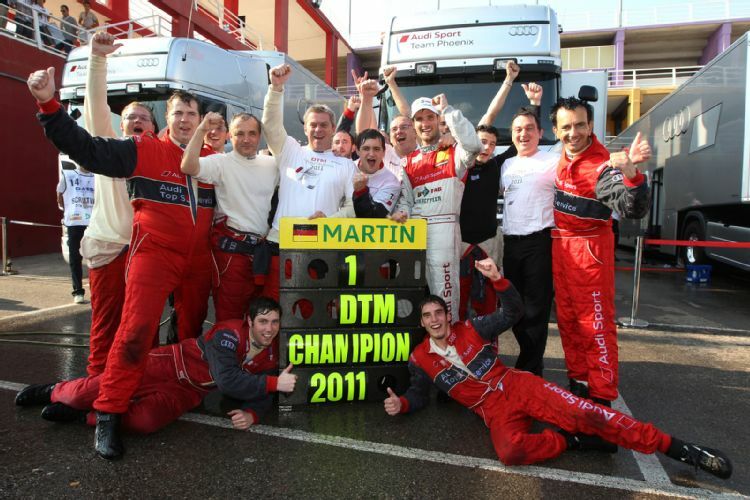 “So the fact that I have qualified to join this illustrious circle as DTM champion makes me rather proud. The permanent switching from one vehicle to another looks like one of the biggest challenges at the Race Of Champions. I’m really curious to find out how it will feel to race rally cars, open buggies and anything else that has got four wheels and is fun to drive. The Race Of Champions is an annual end-of-season competition that brings together the world’s greatest drivers from all motor sport’s disciplines – including Formula 1, world rally, touring cars, Le Mans and the X-Games – and sets them free to battle head-to-head in identical machinery on a specially constructed parallel track. Drivers pair up for the ROC Nations Cup, this year scheduled for Saturday 3 December, before the individual Race Of Champions takes place on Sunday 4 December. Drivers confirmed so far for ROC 2011 include Michael Schumacher, Sebastian Vettel and Jenson Button – who have ten Formula 1 world championships between them. Plenty more big names will be added in the run-up to the event at Düsseldorf in December. For information about tickets (starting from €19) please visit the website http://www.raceofchampions.com.